We're creating new paths of economic mobility for residents. Entrepreneurship and small business creation is a pathway to economic mobility for many low and moderate-income and immigrant households, and a key factor in neighborhood revitalization. NBT aims to help more aspiring entrepreneurs start businesses, and to support established small businesses to meet their needs and improve neighborhood commercial areas. NBT, via our Esperanza Neighborhood Project, is focused on supporting French Street area businesses and partnering to transform their shared corridor, through enhanced marketing, technical assistance, and targeted deployment of beautification funds. 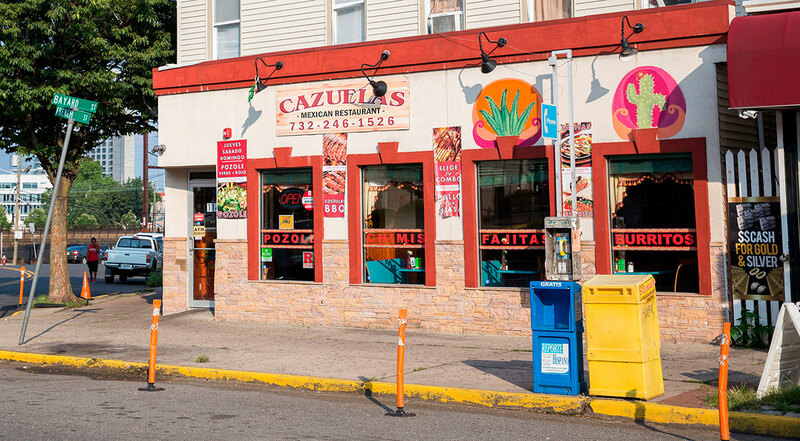 The ultimate goal is to improve customer/resident perceptions, increase sales, and attract more outside visitors to this vibrant Latino district. NBT has assisted in the creation and implementation of Mercado Esperanza, a flexible community marketplace celebrating the food, arts and culture of New Brunswick and its diverse Latino community. The Mercado Esperanza prioritizes the participation of local micro-entrepreneurs working to hone their skills and supplement primary incomes. This project also brought partner Rising Tide Capital to New Brunswick to conduct the Community Business Academy, an entrepreneurship training program for aspiring and existing business owners. Immigrants to the U.S. are twice as likely to start new businesses as native-born persons, and represent a larger share of U.S. small business owners than their share of the overall population. French Street and its adjacent streets, for example, form a busy business district that is home to over 100 local businesses, ranging from authentic Mexican restaurants to clothing stores and much more. Complementing these establishments are the many uncounted micro-entrepreneurs, such as street vendors, home cooks, and direct sales representatives (e.g., Avon, Herbalife), who sell their wares more informally, either as primary or supplemental income. These modern-day “cottage industries” help many low-income New Brunswick households to make ends meet. Particularly for undocumented immigrants, entrepreneurship provides a potential path to success beyond the low ceiling of opportunity available in the low-wage workforce. Help us develop stronger neighborhoods!